Last May, during the Google's annual I/O conference, the search giant announced that the Android M is coming this year. 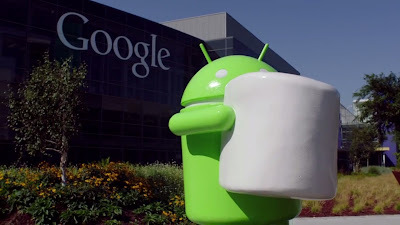 Earlier today on their global headquarter in Mountain View, California, the latest Android operating system has become official, the Android 6.0 Marshmallow. The Android 6.0 Marshmallow is expected to improve stabilization, enhance performance, better RAM consumption, increase standby as well as overall battery life. The Android M will also have native fingerprint sensor support and better security authentications. The new Android version will also provide more support for USB Type-C connectors as wells as capability to charge other devices. This is also a great news for local users who are using Android One devices like Cherry Mobile One, MyPhone Uno and Cherry Mobile G1, as these smartphones are confirmed to get the Android M software update directly from Google. And if the statement of our source is true, the update might arrive to our device sooner than we expected.